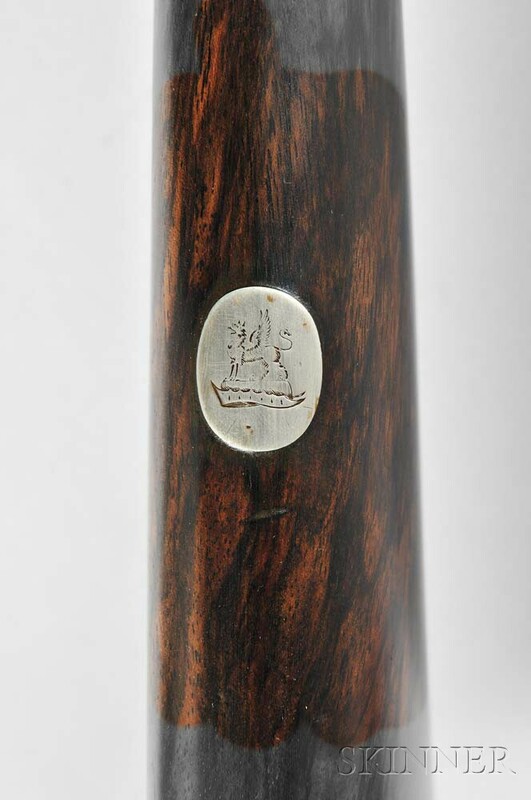 James Woodward & Sons Matched Pair of Sidelock Shotguns in an Oak and Leather Case, c. early 1880s, serial numbers 3921 and 3922, walnut stocks with finely checkered forends and grips, the frames and lockplates with fine foliate scroll engraving marked "J. WOODWARD & SONS," blued barrels with plain rib engraved "'The Automatic' JAMES WOODWARD & SONS, 64 ST. JAMES'S STREET, LONDON, S.W. 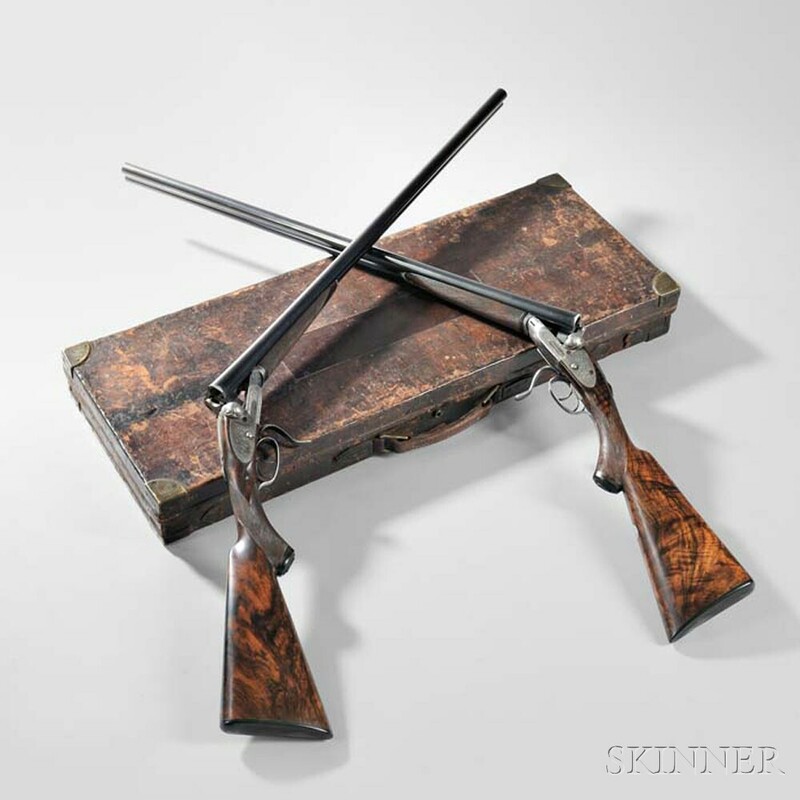 MADE OF SIR JOSEPH WHITWORTH'S FLUID PRESSED STEEL," guns numbered "1" and "2," overall lg. 47 in. Provenance: Vintage Doubles LLC, Wenatchee, Washington, May 7, 2015.